“By reorienting the building to the courtyard and putting a new chapel with glass where the old entry stood, we have created an inviting area where people can socialize before and after services which is a critical part of a healthy church campus,” said David Keitel, Senior Associate with domusstudio architecture. A large, dark rectangular space with stained glass windows, the existing sanctuary welcomes little natural light. 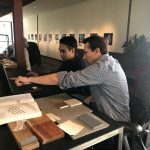 The new design includes skylights and deep recessed windows that will allow natural light to bounce off surfaces, including the stained glass windows, creating a bright environment and blending traditional and contemporary features. The new lighting design will also help the church avoid the pitfalls of direct natural lighting, such as glare and heat. 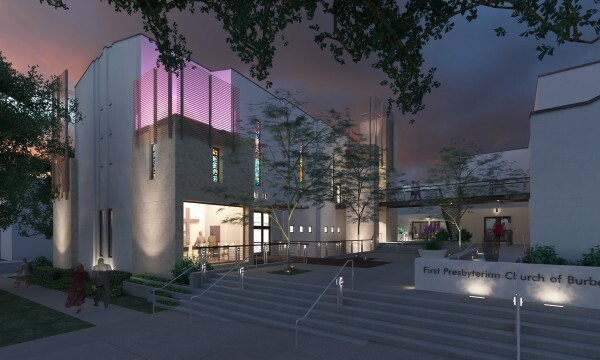 “In the chapel, we incorporated a large opaque skylight, backlit with LED lighting that will change colors with the liturgical seasons and will be visible to the community,” Keitel said. 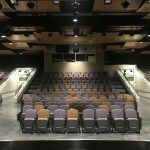 Also part of the new sanctuary, an expanded balcony and curved pews wrap around a new round Chancel, which was pushed forward in the space to create a better connection between the worship team and attendants. The architects are maximizing the property by exposing the basement, and creating a lower patio with roll-up sectional door openings from a new youth room. The exterior exposure and openings will create better circulation for what was an “old, tired basement,” added Keitel. To complete the new look, domusstudio built upon two existing tower bases at the front of the church, adding height using a skeleton frame and perforated copper panels. A third similar elevator tower will be added in the rear of the courtyard making the entire campus accessible to all users. 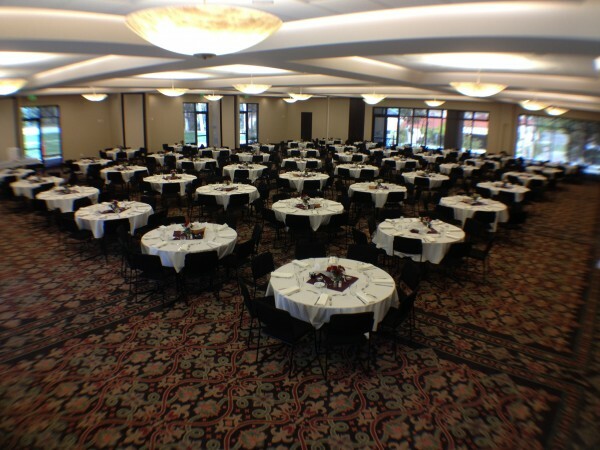 The project will be completed in 10 months, and is being constructed by HMH Constructors Inc. of Camarillo, CA. 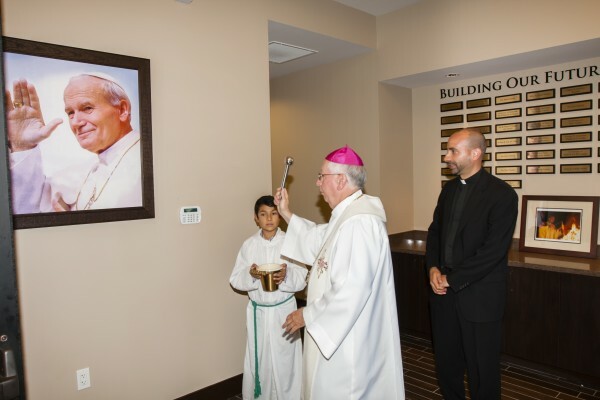 On June 29, more than 350 guests gathered as Ascension Catholic Church dedicated its new domusstudio-designed Parish Center. 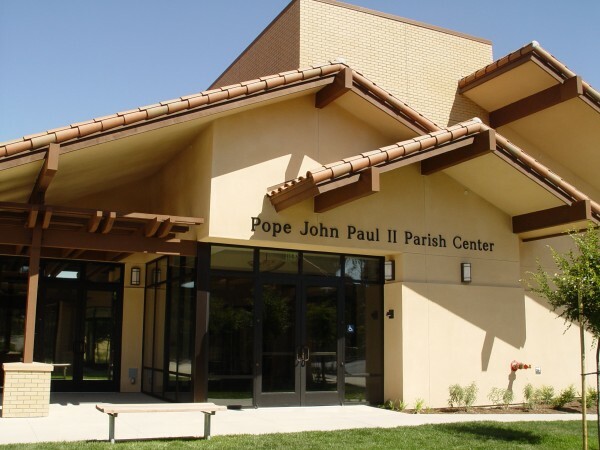 Built in 1985, the church is located at 11292 Clairemont Mesa Blvd. in Tierrasanta. 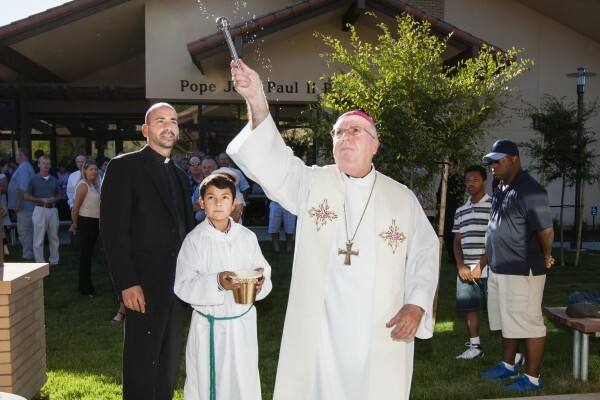 Bishop Cirilo Flores, who will succeed Bishop Robert H. Brom when he retires as head of the San Diego Diocese next year, blessed the building. Domus used the new courtyards to link the existing building and the new structures. 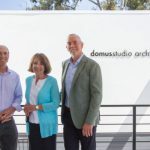 “The parish now has a wonderful space for outdoor fellowship, as well as some smaller spaces for parishioners to meet and talk in small groups,” Wayne Holtan, a principal with domusstudio.